Special paint and features for the sporty SUV. 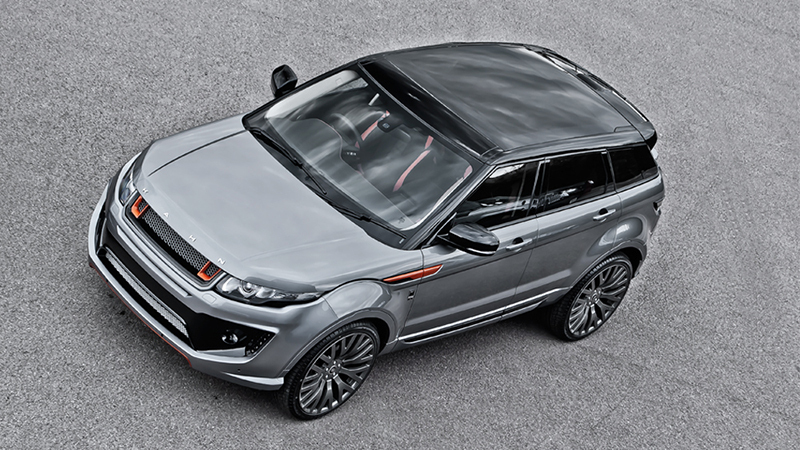 The Range Rover Evoque RS250 by A Kahn Design has been quite popular for its looks and style that sets it apart from the norm. Now, the British Design team is offering up a new Orkney Grey paint that features a unique composition and emphasizes its exclusiveness. The new Orkney Grey paint is made up of highly reflective particles inside a transparent layer that creates a concentrated glistening effect. This paint is contrasted by a floating black roof stripe, mirrors, pillars, and privacy tinted glass, along with various copper and Vesuvius orange colored components. The RS250 Evoque is more dynamic thanks to a new front and rear bumper set, with the front component boasting black and silver mesh, 3-D mesh inserts, and LED daytime running lights, while a new 3-D mesh grille stares ahead. Copper side vents, stainless steel door entry sill plates, and gloss black side sill trims add a touch of style to the SUV’s profile and run towards the more athletic rear bumper. Here, the team at A Kahn Design installed a new lower trunk spoiler, and their classic twin cross-hair exhaust finished off with a matte black finish. 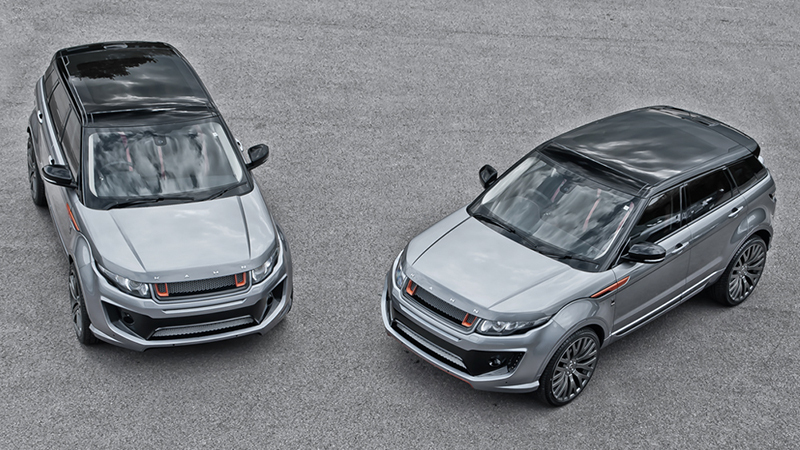 But the transformation for the Orkney Grey RS250 Evoque doesn’t end there. Filling in the wide wheel wells is a set of matte pearl grey RS600 wheels in a 9.5 x 22 front and rear fitment contrasted by Vesuvius orange brake calipers. Inside, the team at A Kahn Design has handcrafted many of the furnishings in a variety of designs and colors to create a comfortable and luxurious cabin. 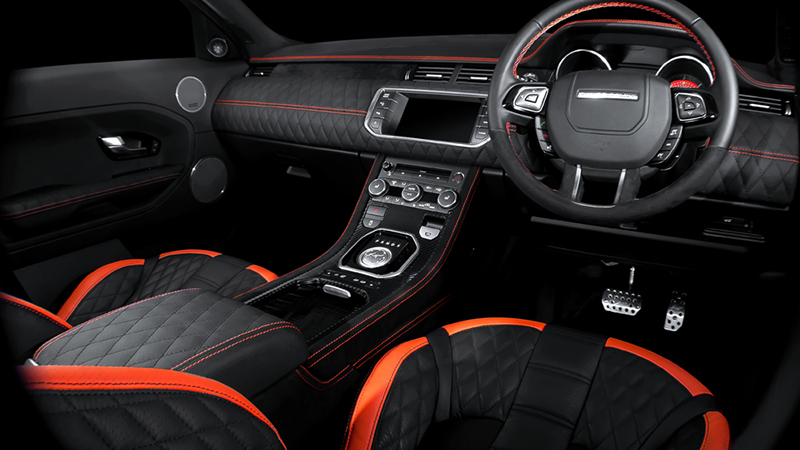 The front and rear seats wear a soft mix of black and Vesuvius orange leather and alcantara. Alcantara also covers the dashboard and transmission tunnel with contrast, quilted stitching. The glove box and door arm rests sport a quilted leather pattern and add a touch of comfort to the posh interior. Benefitting the driver is a set of orange gauges, diamond gear selector, aluminum ventilated foot pedals, and high quality, heavy duty carpeting. 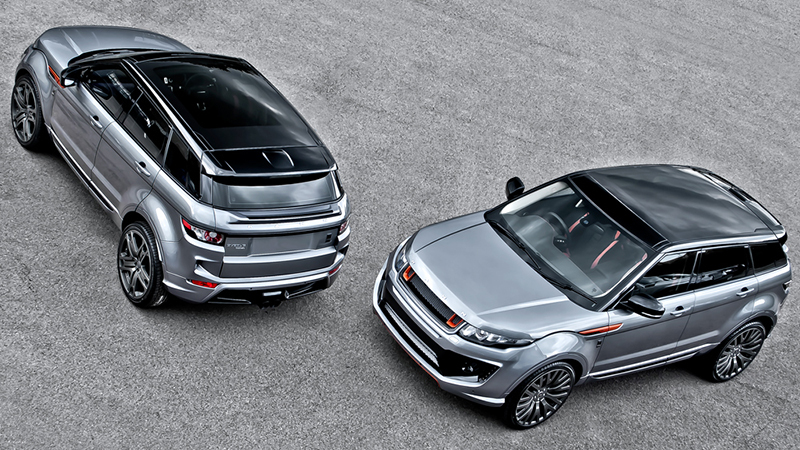 The A Kahn Design Orkney Grey Range Rover RS250 Evoque is currently available. As with all of the British company’s creations, customers can create their own unique SUV in a variety of different colors and designs. 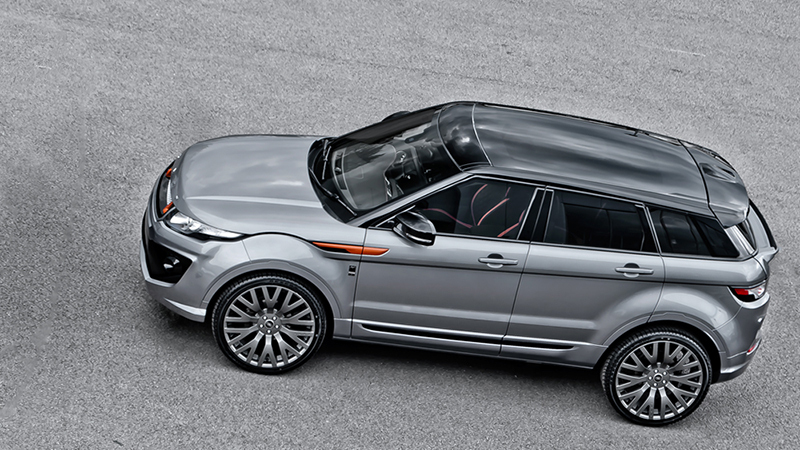 Do you like the new Orkney Grey paint on the RS250 Evoque by A Kahn Design?